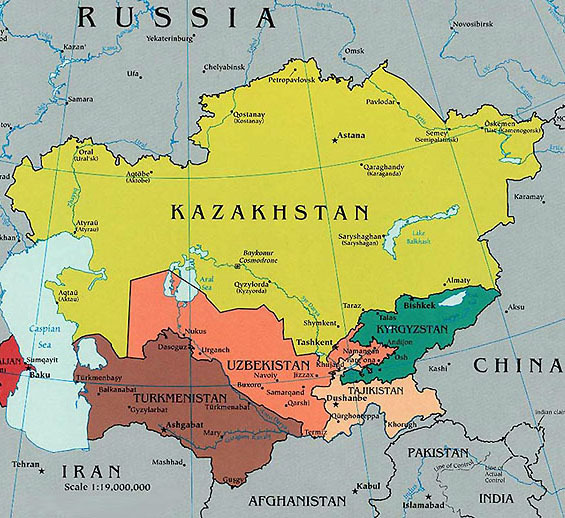 Although there have been many differing definitions of the composition of Central Asia, for the purposes of this course sequence on Russian history, it will be considered as the large area east of the Caspian Sea, including the area around the Aral Sea and Lake Balkhash, bordered on the south by Iran, Afghanistan and China and extending just short of the Mongolian border. 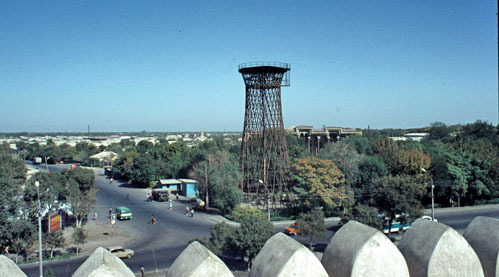 This includes the countries of Kazakhstan, Uzbekistan, Turkmenistan, Kyrgyzstan and Tajikistan. These are all former republics of the Soviet Union, and this was territory added to the Russian Empire in the second half of the nineteenth century. Geographically, Central Asia is somewhat diverse. In the south, the region is generally bounded by high mountain ranges, like the Tian Shan. 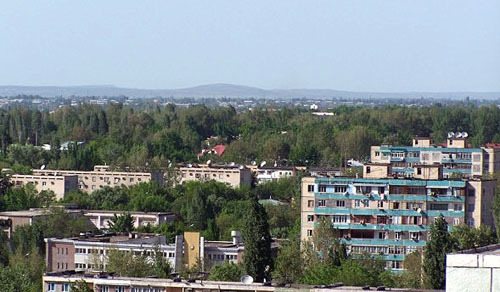 The area is also home to deserts like the Kara Kum, but much of the area, especially in Kazakhstan is steppe. For a lot of years, the prevailing socio-economic organization was steppe nomads. Because of the overall dryness of the region, the area is not generally good for farming. 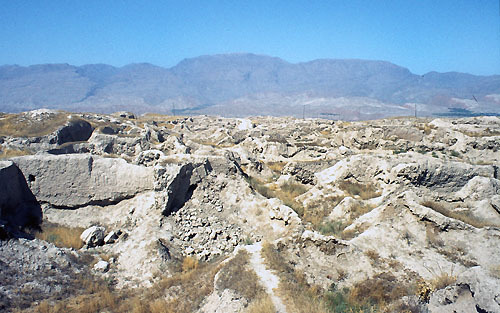 The climate can vary accordingly from bitter hot and dry in the desert regions; to more temperate, but still dry, in the steppe, to snow in the mountains. The following photos are good indications of the overall flatness of the terrain in Central Asia.